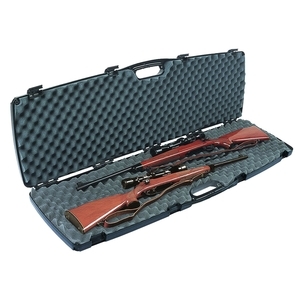 Accommodates two rifles with 50mm scopes or two shotguns. There is also plenty of extra space for accessories. Well priced product but is really only suitable for single pcp rifle inc scope. No way can I fit a Weihrauch HW100 and Walther RM8 in.